The Tie Dye Knit Kimono made by Mystree is the softest, lightweight kimono there is. 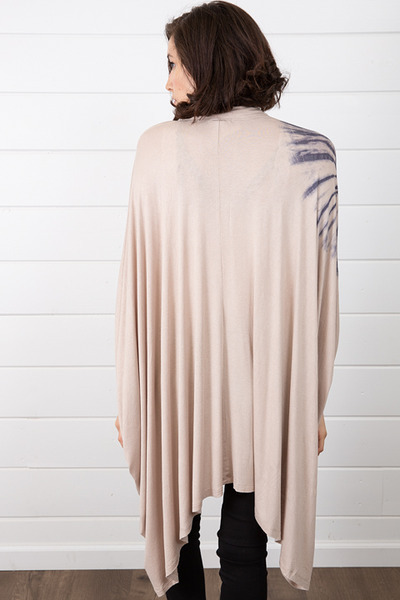 This oversized taupe cocoon style kaftan features a gorgeous blue tie dye pattern along the front and right shoulder. Pair this easy kimono with a white tee and jeans for a cute, casual look. 95% rayon and 5% spandex. Hand wash cold and hang to dry.